Why Buy a Mazda Extended Warranty or Protection Plan? How reliable are Mazdas? Do you really need a Mazda extended warranty (purchased at the dealership) or a vehicle protection plan from autopom!? Is it a necessity when you might not even use it? What is the value of automotive peace of mind? To buy or not to buy – that is the question. But, like any type of insurance, you might think it is a waste of money until something goes wrong, and then you are really glad that you have it. If you like Mazdas but you also like driving with confidence and peace of mind, then a Mazda extended warranty plan of one type or another is definitely something you should consider. While the manufacturer’s reliability rating has improved by leaps and bounds in recent years, a history plagued with mechanical problems and dependability issues has given Mazda a less than stellar reputation. Yes, they can boast three highly rated cars in the Mazda 3, Mazda 5, and MX-5, but they also have several models that top the list of vehicles to avoid, with the RX-8 and CX-9 being among the worst used cars to buy. The rotary engine was a nightmare, and although it’s been phased out, it was still used in the RX-8 until it’s final production in 2011. Even the new SkyActive Technology has experienced a few bumps along the way. Many experts are praising Mazda for its improvements, claiming that some models are worthy of the accolades usually reserved for the most reputable brands such as Toyota, Honda, or Lexus. However, there are others who aren’t quite ready to give the automaker their gold seal of approval just yet. In truth, almost every manufacturer has both good and not-so-good cars in their lineup, and Mazda is no exception. Reliability hasn’t always been their strong suit, but they do build some good cars. While you should steer clear of specific years and models, there is no need to avoid the brand altogether. There is no doubt that you can find a great Mazda at a great price. And you won’t have to compromise on comfort, performance, or safety. But, if you are in the market for a used model, a Mazda extended warranty or vehicle protection plan is definitely recommended. 1. Reliability. Some people claim that Mazda is a well-built and dependable used car choice while others complain about questionable reliability. What you hear will really depend on who you ask. But, the information available seems to show that when something does go wrong, there is a good chance that it will be a major issue. Every vehicle has its little quirks that need to be worked out, but many Mazda models are known for transmission, drive train, and engine problems. Electrical system failures also appear to be a main complaint. Even if your Mazda only has one issue over all your years of ownership, if that problem happens to be related to the powertrain or electrical systems, you could be looking at thousands of dollars in repairs. And that is not even considering the time you will be without a vehicle since major components usually take longer than a couple of hours to fix. 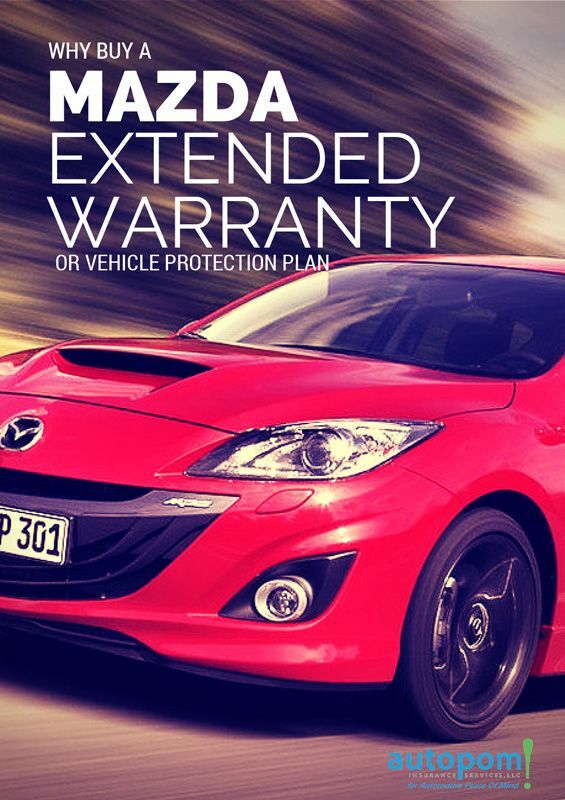 With a Mazda extended warranty or vehicle protection plan you won’t have to worry as much about vehicle reliability. If it breaks down, you are covered. A rental car will even be provided so your life can continue on as usual. 2. Higher Repair Costs. Like most imported vehicles, Mazdas can be more expensive to repair than domestic brands. And not every mechanic is trained or qualified to work on foreign cars, which may be especially true with Mazdas since SkyActive technology is a fairly new concept. With a Mazda extended warranty plan, the higher cost of parts and labor would not strain your budget or affect your bottom line. 3. Peace Of Mind. 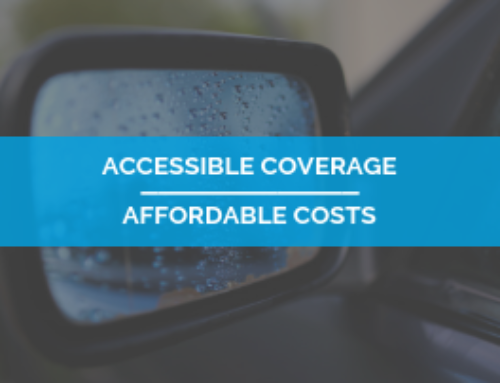 The cost of ownership is high enough without having to worry about large repair bills, unexpected breakdowns, or the inconvenience caused by an unreliable vehicle. Ideally, we would love to find an infallible car, one we could climb into and drive without any problems or worries. Unfortunately, that’s not likely to happen. So, we do the best we can. We do our research, we ask the important questions, and we arm ourselves with as much information as possible so we can choose the best car for our situation. But, once we have invested that much work, it can be disappointing – even disillusioning – to find ourselves stranded on the side of a busy highway waiting for a high-priced tow truck that we know will probably be followed by an even more expensive repair bill. The reason we choose our vehicles so carefully is because we want to drive with peace of mind. We want to rest in the confidence that we will arrive at our destination safely and trouble-free; but, if anything unexpected were to happen, we want to know that someone will come to our aid and make solving the problem as painless as possible. When the vehicle breaks down or when a major component fails, instead of panicking we can simply dial a toll-free number and know that help is on its way. We don’t have to pull out our credit cards, juggle our budget, or worry about shady or dishonest mechanics. There is something to be said for peace of mind, and a Mazda extended warranty plan will allow you to drive your Mazda with that kind of comfort and confidence. Mazdas are improving, and even older models can be a good, dependable choice. But, as with any used vehicle, you purchase at your own risk. Factor in the questionable reliability history of many models and a Mazda extended warranty is a wise decision. Sure, you can go to a dealership to purchase your warranty, but you will likely pay premium rates and will probably have to commit to a contract that limits where you can have repairs done. Here at autopom!, we offer high-quality vehicle protection plans with comparable, or even better, coverage than a manufacturer extended warranty – all at a more affordable price with interest-free payment plans. With an autopom! vehicle protection plan, you will get the coverage and customer service you expect plus the flexibility you need to drive your car with assurance and peace of mind. So, despite mixed reviews about their reliability and high repair costs, you don’t have to cross Mazda off your list. If they have the perfect car for you, go ahead and buy it, and then talk to us about finding the best protection plan for your needs. You can drive with peace of mind because we make car ownership easier.